Christmas is traditionally a time of hope, a time of joy, and a time of giving and receiving. 2016 hasn’t given people much luck with any of that so far, but in a year plagued by political nightmares, war-torn lands and countless celebrity deaths, one of life’s small joys has been the blossoming of Diane Morgan‘s profile. Recent roles in Motherland, We the Jury and Rovers have been critically acclaimed, and audiences have lapped them up with good reason. 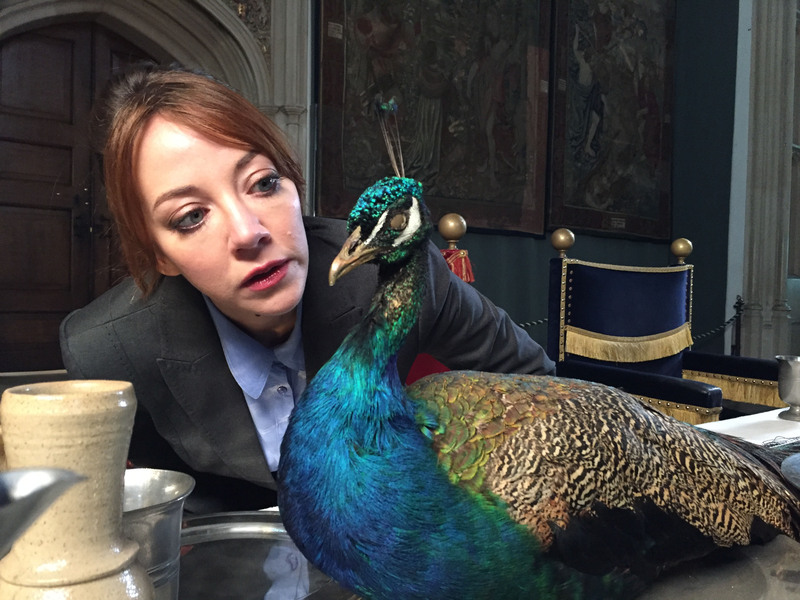 But while Motherland is set for a full series next year, it is as Philomena Cunk – the hapless documentary presenter Morgan has been portraying for the last three years – where Diane has been responsible for one of the few truly great things about 2016, with her Cunk on Shakespeare special back in April. Morgan, of course, is only part of the story, with Nathan Barley creator Charlie Brooker once more writing the lion’s share of the gags alongside regular collaborators Jason Hazely and Joel Morris, who between them have written for the likes of Murder in Successville, It’s Kevin and That Mitchell and Webb Look, as well as being responsible for those mega-selling Ladybird parodies that everyone and their mum got for Christmas last year. But it’s material that could fall down in the hands of a less capable performer, and quite often, Morgan sells a punchline without saying a single word. It’s a testament to the three writers and one actress that their styles gel together so magnificently, and Cunk is fast becoming one of television’s greatest comic creations as a result. They say that sometimes less is more, and drip-feeding Cunk’s appearances with these one-off specials is helping to keep the character fresh. We’ve yearned for more of Philomena’s inimitable wisdom for months, and now that she has returned with her unique take on Christmas, it’s safe to say the results are worth the wait. It is, of course, hard to reveal too much about the special without spoiling that first viewing, but what we can say is that it takes the notion that Christmas is for everyone (even Jedis, Wombles and Richard Dawkins) and uses this as an opportunity to examine every possible aspect of the holiday season. As such, Philomena embarks on a potted history tour, starting with the Pagans, whom Cunk realises have a lot in common with a certain longstanding BBC presenter, and their traditional festivities around the Solstice, before God came along and stole all the fun via his magical ghost sperm. We visit Christmas in the middle ages, with Cunk asking a historian if the people of the period knew they were halfway through time or not, and then take a sideways glance into Christmas music via carol singers and Slade, whose infamous loudness is given a wickedly savage explanation. There’s the dawning realisation that Oliver Cromwell, who banned Christmas, led a civil war that divided the nation down the middle (where’ve we heard that lately?) and how Jesus couldn’t compete with a jolly fat bloke who judged a child’s goodness based largely on parental income. Then we dive through Victorian ‘batshit’ Christmas, Scrooge the man rather than the McDuck, the legendary game of football played in the trenches on Christmas Day 1914, and through to modern day Christmases, where scientists now believe eighty percent of all burps are created. Finally, with our Christmasses becoming ever more fragmented and dominated by screens of various sizes, Philomena reaches deep inside to discover the true meaning of Christmas. And if you want to know what that is, you’ll have to tune in! As to be expected from Cunk by now – if you love her awkward interviews, her round-the-houses logic, and oddly acute similes you’d never have thought of yourself, this is an absolute hoot. It’s unlikely to convince anyone who hasn’t enjoyed the big joke so far, and it’s arguably not as snappy or as focused as the previous Cunk on Shakespeare special, suggesting that the character and her material work best when they have a more clearly defined target (or are presented in short enough bursts that the fumbling around isn’t given time to actually fumble). Yet Morgan, Brooker, Hazely and Morris have an incredible hit-rate, so even when a gag falls short, it’s soon replaced by ten more that make you forget all about it. Watching Philomena Cunk is a little bit like watching Rich Fulcher do stand-up… you laugh your head off so much that, ten minutes later, you can barely remember half the gags that had you guffawing, and what’s more, when you try and re-tell ’em you fall flat on your face without that unique delivery. The best part is that means you can go back to rewatch the show at a later date and rediscover those gags all over again. And with Cunk on Christmas, a lot of you will want to revisit it every Christmas from hereon-in. 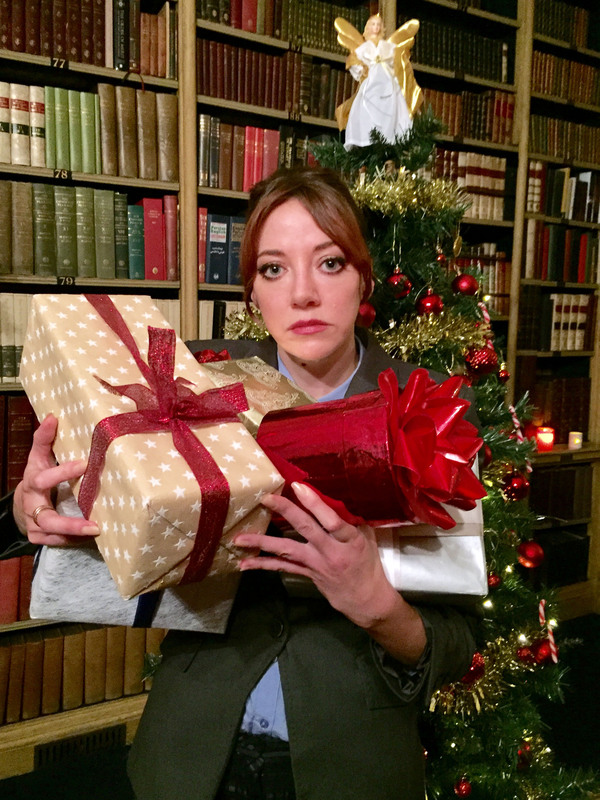 Cunk on Christmas airs on Thursday 29th December at 10pm on BBC Two, preceded by Charlie Brooker’s 2016 Wipe, which also features Philomena Cunk.